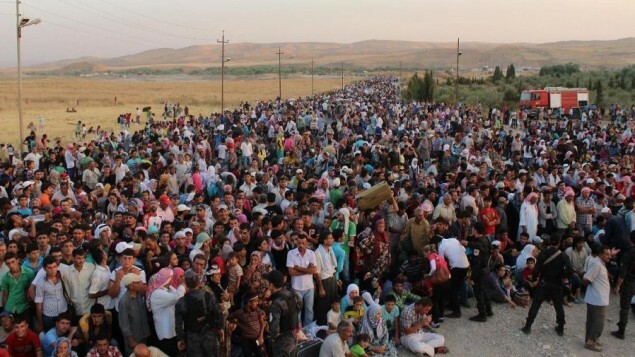 We urgently request you to consider increasing the quota on refugees that Ireland should accept from Syria. In Ireland we are lucky enough to be coming out of a difficult economic period. Everyone in Ireland knows what a difficult time we have come through. We can show how neighbours can come together, share what little they have and do what they can to ease the suffering of others. This is a time where we can be proud to be Irish. We now need to extend this arm of solidarity that we offer to fellow countrymen a little further. The continuing violence in Syria has sparked one of the biggest humanitarian crises in recent history. Among those worst affected are those living inside Syria, including 6.5 million who are internally displaced. Many remain stranded in areas under blockade by government forces. They face severe food shortages and are dying of starvation. Outside Syria, those who have fled to neighboring countries also face tough conditions in poorly resourced refugee camps. Ireland with a population of just over 4.5 million has agreed to place just 90 refugees. We feel this is not enough especially when you look at a country like Denmark who has approximately 1.2 times the population of Ireland and have agreed to place over 2.7 times the number of refugees. Granted, Germany has a population nearly 18 times the size of Ireland, however they have agreed to take 10,000 refugees. This translates as about 1 refugee for every 8000 people in the country. Your government’s recent decision to settle 90 refugees from Syria means in effect that Ireland has only agreed to take 1 refugee for approximately 50,000 people in the country. We can do more. We urge you to increase this quota in the name of our common humanity.